I never knew that I liked drawing robots, but they are so fun cause pretty much anything goes. 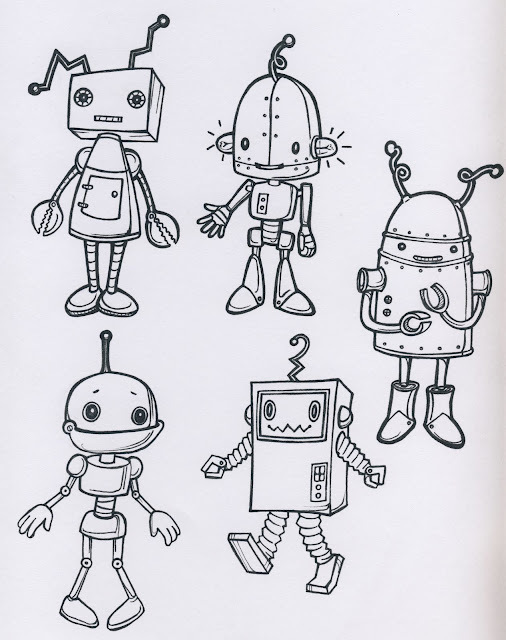 It has become our Sunday ritual to draw robots during church (I listen best when I'm drawing;), and I have drawn robot EVERYTHING! Robot elephants, robot dragons, robot butterflies, robot sharks, robot crocodiles, even robot mermaid dragonfly princesses! 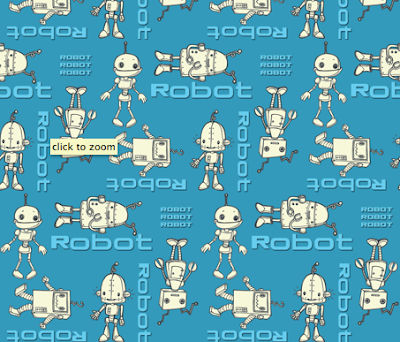 So of course I had to participate in this week's spoonflower fabric design challenge which is "ROBOTS". 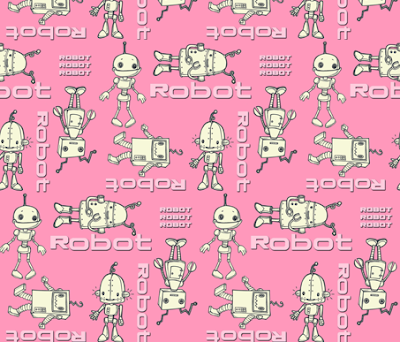 Because I feel that there is a shortage of girly robot fabric in the world, I entered the pink "robo buddies" design. you can do so HERE. This is my tiny site of silliness, where I occasionally post about my creations. Come and visit any time! Hi, my name is Star. I'm an illustrator, designer, and lullaby composer. I have 4 kids, 3 pigs, 8 goats,1 cat, 2 puppies, 18 chickens, 1 husband, and lots of poop to deal with!